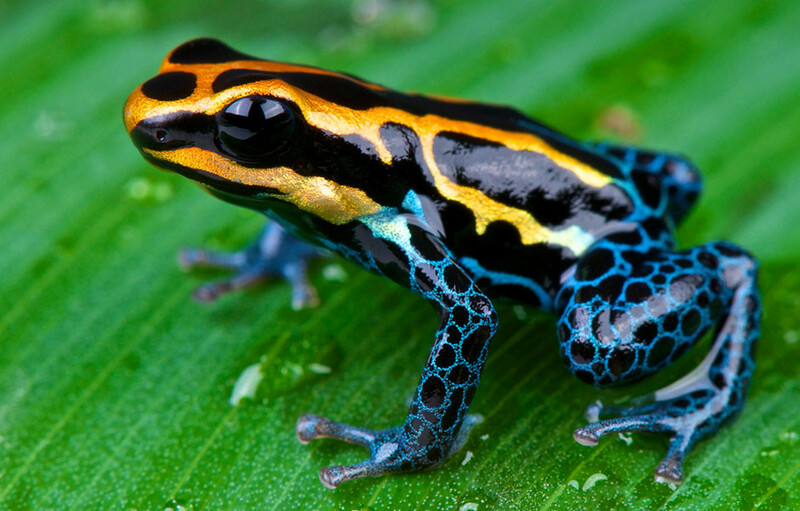 This very rare frog is native to Ecuador, inhabiting jungle slopes. The males and females look similar, but you can often hear the male singing (croaking). We have had great success in breeding this endangered animal. The female lays her eggs on leaves, then the male fertilises the eggs and then carry’s them to a water source, where he continues to care for the tadpoles. In the wild, the small beetles, spiders and flies the frogs eat are metabolised into a poison that they can secret from their skin.